If you are studying the Industrial Revolution for whatever reason be it G.C.S.E’s or A levels we hope you find this website useful. Over 250 years ago was the start of the Industrial Revolution. To define revolution it means a complete change – turning things upside down. Industrial is the use of machines. The industrial revolution was the combination of both of these for dramatic effect. In 1700 the majority of people lived and worked throughout the countryside. Although it sounds like a significant period of time, over the next 150 years this conventional wisdom and way of living was turned completely on it’s head by a wave of new ideas and inventions; changing industry dramatically. This led to the introduction of factories which were built throughout towns across the country. People began to move into the towns to find work within the industries operating out of the factories. Canals and railways began to be built which were the transportation for these materials built within the factories. Britain was changed dramatically and finished goods began to be transported and marketed across the globe. By 1850 the industrial revolution had completely changed the dynamics of the country and the name the ‘Workshop of the world’ was dubbed. 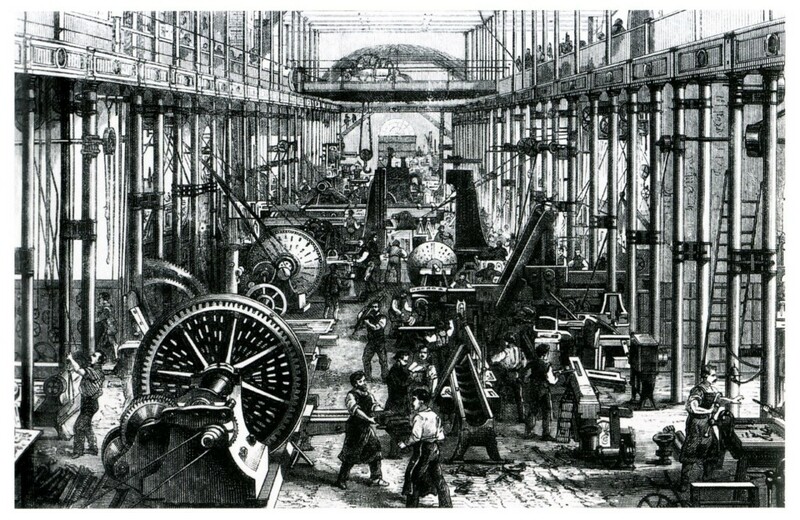 Industrial Revolution.org.uk aims to break down the key events leading up to and through the industrial revolution. Each section is carefully created to cater for your studies. It doesn’t matter what level of work you are looking for; our helpful guides should assist in getting the best from your history studies. Good luck!